HTML5 is a buzz these days that is heard by every L & D manager. It is the talking point at every conference and in almost every blog, thanks to its ability to transform e-learning, especially in the context of mobile learning. A few months earlier eLearning Guild released a report titled ‘HTML5 and e-Learning: What Managers and Practitioners Must Know’. The report covered some points from e-learning accessibility to design and the use of HTML5 features. I have summarized below some of the important points from the report. Let’s review them. Unlike Flash, which requires additional coding effort and time to make content accessible, HTML5 does not require any additional time and coding effort, since the HTML5 content can be easily read by browsers. Using HTML5, you can develop games which are mobile friendly, interactive and fun to play. Audio and Video can be directly embedded into the HTML5 code, without using additional players or plugins. Using Canvas tag, we can create animations similar to those possible in Flash. Now a days many Authoring tools like Articulate, Lectora and Captivate are capable of publishing courses in HTML5 output and these tools help us to develop the courses rapidly and make updating and revising content easy. Using HTML5, we can customize the look and feel of the content similar to that of Flash courses and we can create rich interactivities to develop engaging courses. With HTML5 you can have the content flow to a pre-determined width, enabling you to make it wider or narrow it down, based on the size of the browser window. This is something that you can do through simple coding, instead of installing a plug-in. HTML5 offers localization and does not require any plugins. We can also create activities like drag and drop objects in HTML5 without any additional plugins. M-learning is not just a fad. Rather organizations are adopting extensively. HTML5 features are supported well by mobile browsers. HTML5 has video and audio tags, which makes it possible for the Videos and Audio to be played in Mobile devices. HTML5 is not the complete replacement for Flash as of now, but it is the future of e-learning and m-learning. Rapid authoring tools are updating themselves for HTML5 output and most browsers today support HTML5. 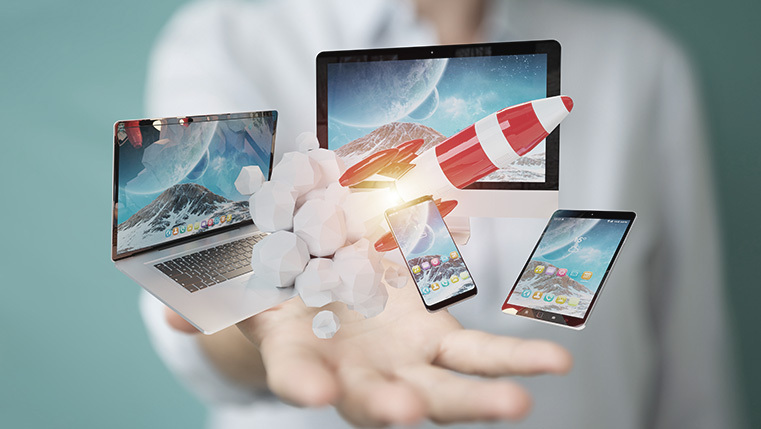 Acknowledging the capabilities of HTML5, learning and development managers can develop courses that are highly interactive, accessible, editable and translatable.